Transmissions are one of the most important components in the operation of your car. They can also be one of the most difficult and expensive to repair or replace. At Richfield Transmission & Auto Repair, we can provide all the help you need to keep your transmission operational, whether you need transmission repair for problems or you simply need a transmission flush to help protect it. Our experienced technicians are ready to provide the assistance you need. While a transmission flush may not be at the top of your to-do list, it must be done at certain intervals. These intervals will be dictated by your specific make and model. In order to determine whether you need to see us for a flush, you will need to read through your owner’s manual. Here, you will find a list of the maintenance tasks and when they should be completed. We encourage you to follow this list closely and turn to us to flush your system in order to prolong its life. 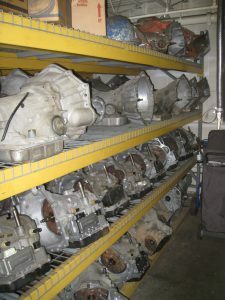 Despite the care you give to your transmission, there may come a day when you need reliable, affordable transmission repair in Minneapolis. Our expert team of technicians can help you repair your transmission, whether you are experiencing minor issues or it needs a complete rebuild. We are ready to help you troubleshoot the issue and then implement the appropriate course of action to ensure your transmission is working the way it was intended.